Sunday, July 11 – Transit Day: Bus from Sare to St. Jean de Luz – Walked 3 kms. | Say Mar Say! - C'est Marseille! Say Mar Say! – C'est Marseille! What is a middle-aged American couple doing — and learning — in "scary" Marseille? Sunday, July 11 – Transit Day: Bus from Sare to St. Jean de Luz – Walked 3 kms. Early afternoon bus of maybe 12 kms. to St. Jean de Luz. We were the only riders. 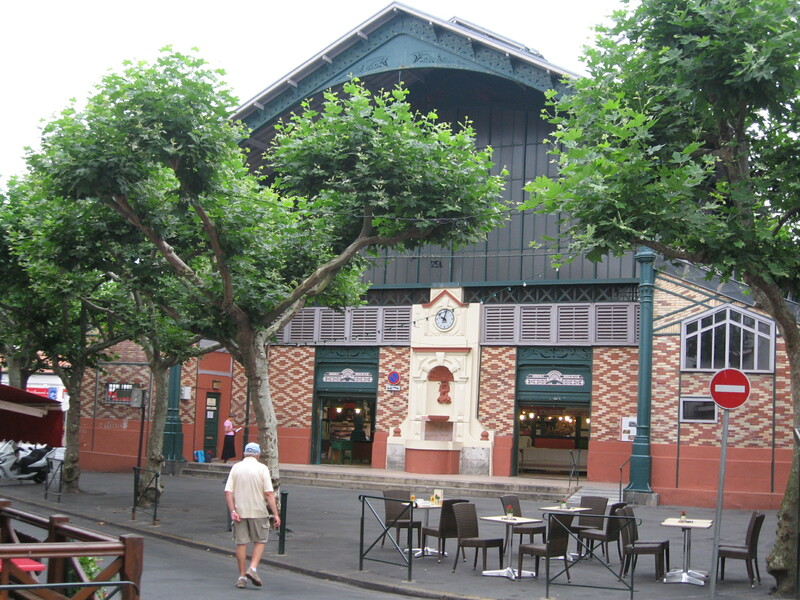 Arrived and found excellent casual outside resto (short for restaurant) at classic marche (market) in town. Walked to serviceable hotel in town and then walked along beach and port. Signs of en saison (high season) tourist activity. Beach and boardwalk full and much ice cream was being consumed. In evening found a resto that had a ecran (screen) to watch the final World Football match between Spain and Pays Bas. Spain was victorious and here we were only a short distance from the border. Some celebration in town but not very much. This entry was posted on February 7, 2013 at 9:52 am and is filed under Hiking In France. You can follow any responses to this entry through the RSS 2.0 feed. You can leave a response, or trackback from your own site.